HTC's U11 gained two siblings today, and neither of them has been a particularly well-kept secret. They're certainly not identical twins, either. The aptly named HTC U11+ is a substantially updated, upsized version of the headline U11 from earlier in the year, with an 18:9, 6-inch display, a huge battery, and the most modern design ever seen on an HTC phone. The U11 Life is a mid-ranger that will launch with Android One outside the US. If these phones are twins, the U11+ has to be Arnold Schwarzenegger. HTC is finally on board with the 18:9 aspect ratio that's been used for most of this year's flagship phones, and its bezels are significantly reduced compared to any other HTC phone. It's not bezel-less by any means, but it's a step in the right direction. HTC claims that it has an 82% screen-to-body ratio, which is very close to the Galaxy S8 and others. The engineers have also managed to cram in a 3,930mAh battery, which promises greater longevity than many of its competitors. For comparison, the battery in the Pixel 2 XL is 3,520mAh, while the Galaxy S8+ has a 3500mAh cell, and they're both considered pretty large already. Around the back, it looks a lot like its smaller sibling with the same almost impossibly shiny 'liquid surface' finish. It also shares many of the same internals, including the Snapdragon 835 SoC and an identical 12MP single lens camera module which produced decent results on the U11. RAM and Storage configurations are also unchanged, with Europe only getting the 6GB/128GB version and other territories able to select a 4GB/64GB model as well. This phone will not be coming to the US at all. The U11+ will be one of the first phones to ship with Android 8.0 Oreo out of the box, which will have HTC's lightweight Sense UI theming over the top, as usual. Edge Sense returns, which is no surprise after the side squeezing feature was borrowed by Google for the new Pixels. It gains new functionality, too, including an Edge Launcher designed to improve one-handed use with a wheel-like app selection tool (below). Edge Sense can also be used to summon either Google Assistant or Amazon Alexa with a squeeze of the frame, and it's even possible to have them running at the same time if you use both platforms. If that's not enough, the HTC Sense Companion is also on hand to offer helpful suggestions based on how you use the phone. Edge launcher is activated with a squeeze, and aims to make one-handed use much easier. HTC is keen to talk up the audio quality on the U11+. It includes the loudest ever BoomSound with 30% more volume than the original U11, with better dynamic range and less distortion, too. The bundled USonic earbuds are capable of mapping your inner ear with sonar-like technology to offer a tailored listening experience. Advanced Active noise cancellation is another plus for the earbuds. On par with other recent flagships, the U11+ is IP68 rated so it will survive a dunk in the pool, but it also does away with the headphone jack. The earbuds are therefore USB-C. 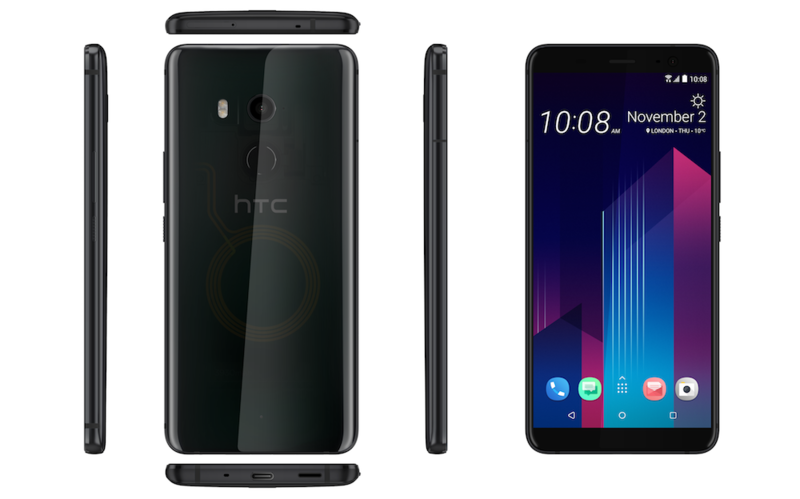 The misleadingly named Ceramic Black HTC U11+ (it's glass, not ceramic) will be available to pre-order from November 20th, costing £699/€799. The Danny DeVito of the new twins is the U11 Life, which has a more modest set of specs. Unlike the U11+, the Life will make its way to the States, but that's the only place where it won't be an Android One device. Elsewhere it will be, most notably in the UK where it's the first of its kind. As an Android One phone, it's guaranteed to get security updates for three years. The U11 Life shares a lot less with its older sibling. It's powered by the mid-range Snapdragon 630, with either 3 or 4GB of RAM depending on the region. It's got a smaller 5.2-inch 1080p display and just a 2,600mAh battery. It's also waterproof, but to a slightly lesser extent with an IP67 rating. In the US, the U11 will launch with Android Nougat, although an update to Oreo is expected for late November. It will cost $349 when bought directly from HTC. T-Mobile will be the exclusive carrier option in the US, and it's even offering the phone for $50 less on its own site. In Europe, the Android One U11 Life will cost £349/€379. There will be two color options, Sapphire Blue and Brilliant Black. I'm not entirely sure why HTC has shared these images (other than because they're cool), as there are apparently no plans at present to release this version of the phone, but the U11+ also comes in a stunning Translucent Black colorway. I've seen this model in person, and it's quite extraordinary. These pictures simply don't do it justice. You can see the guts of the phone through the semi-transparent casing, most prominently the NFC coil, and it's great to see HTC try something a little bit different. Hopefully, HTC will get round to launching this version at some point, but in the meantime, you'll just have to make do with these images. TAIPEI – Nov. 2, 2017 – You want to do more with your phone: watch more videos, play more games, snap more photos, share more of life’s experiences. 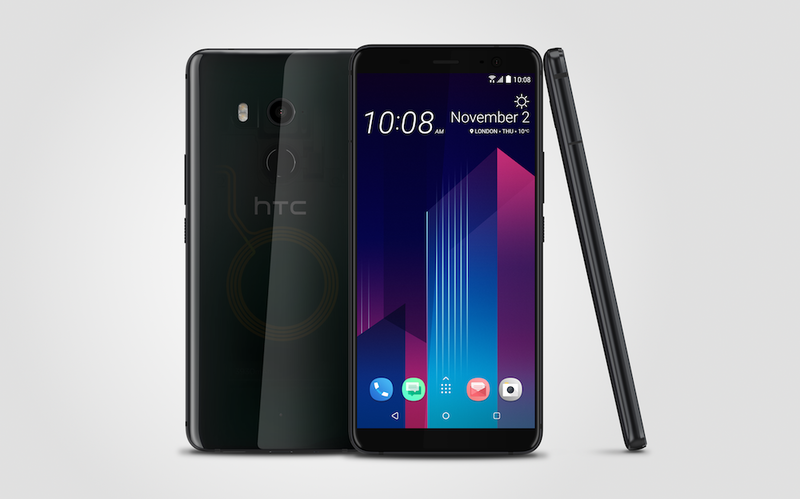 For the person who always wants more, HTC today announced the HTC U11+, squeezing even more screen and battery into a more slender device. The HTC U11+ takes the popular HTC U11 and plus-sizes it with a 6” display, gigantic battery, and more in a stunning liquid surface body that is even slimmer than the HTC U11. 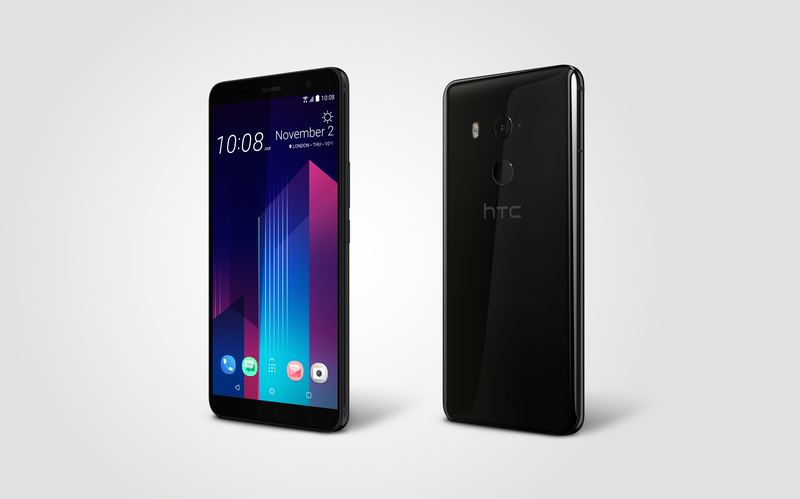 A bigger screen on a smaller device: a 6” display with 18:9 aspect ratio will make the HTC U11+your new favorite way to watch movies and play games – and it still fits comfortably in your hand. Do more of everything for longer: a 3,930mAh battery you can depend on will set your mind atease as you do more of the things you love for longer. Edge Sense is better than ever: Using the HTC U11+ is a breeze with one hand thanks to EdgeLauncher, which lets you access notifications and all your apps with a single hand, and Edge Sense,which lets you squeeze to perform your most common useful actions. Pushing the boundaries of design: Elegant translucent glass back that provides a delightful,intimate look and feel. And we squeezed in even more: Amazing cameras, intelligent voice assistants, the loudest everHTC BoomSound with 30% more volume, HTC USonic earbuds with Active Noise Cancellation, IP68 weather-resistant liquid surface design, and the latest Android OreoTM experiences with Qualcomm power.The HTC U11+ is available in Translucent Black, Ceramic Black, and Amazing Silver beginning <date> in <region>1. For more information, please see the following pages or visit htc.com. The 6” screen on HTC U11+ makes this phone your new favorite way to watch movies and play games, and the 18:9 aspect ratio allows the large screen to fit comfortably in your hand. Content vividly comes to life on the colorful DCI-P3 display. Powered by the Qualcomm® SnapdragonTM 835 Mobile Platform with X16 LTE, the HTC U11+ also supports HDR10 video for vibrant imagery, so be ready to stay captivated. With one of our largest batteries yet, the HTC U11+ provides an increase of 30% in battery stamina. 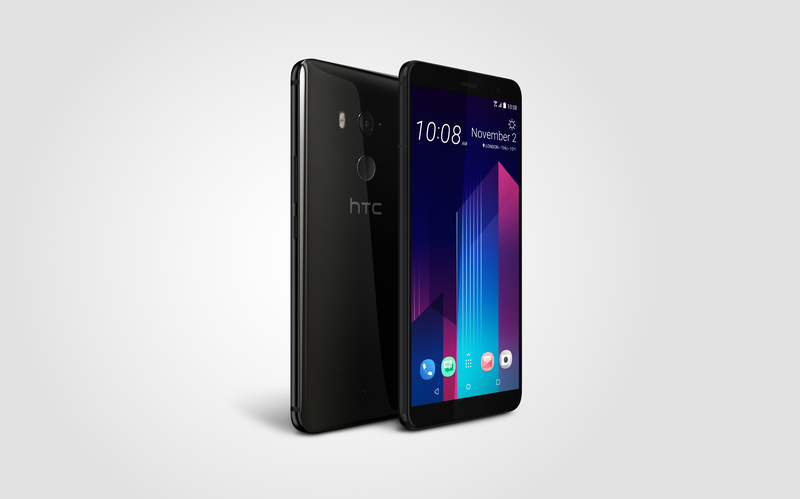 HTC U11+ features the highly acclaimed, groundbreaking technology Edge Sense. With a simple squeeze, you can launch the camera and snap photos, call up a voice assistant, open any app and much more. 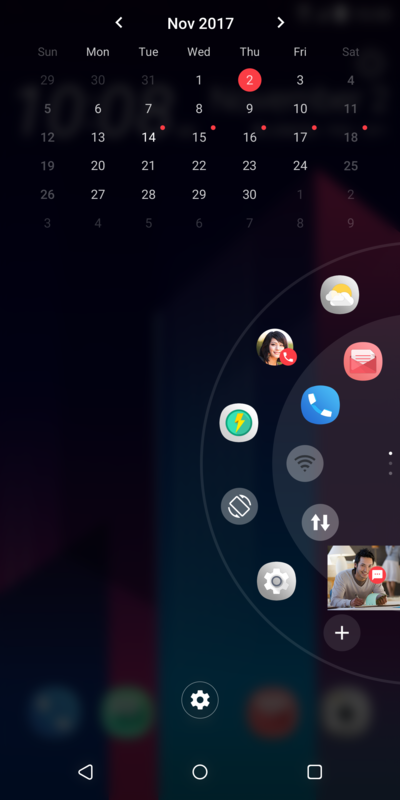 A squeeze opens Edge Launcher customized for easy and fast access to your favorite apps, contacts, and quick settings. You can also squeeze Edge Sense to access Google Assistant or Amazon Alexa2. No need to say “OK Google” or “Alexa,” just squeeze and ask your question to get nearly instant results. The HTC U11+ comes equipped with an even better camera than the HTC U11, which was awarded a remarkable DxOMark Mobile score of 903. The new improvements in HTC U11+ will reward you with spectacular and crisp image quality. Full-sensor phase detection autofocus on the HTC U11+ is the same technology found in top DSLR cameras, while HDR Boost technology produces dynamic photographs without slowing down. With HTC BoomSound and HTC USonic earbuds, you can enjoy powerful audio wherever you go. In fact, BoomSound on HTC U11+ is the loudest we’ve ever put on a smartphone – 30% louder than HTC U11 with richer sound and better dynamic range audio with less distortion. For the best listening experience, HTC USonic earbuds map your inner ear with sonar-like technology and tailors audio to fit you. Advanced Active Noise Cancellation built into HTC USonic earbuds works automatically to monitor environmental sound levels, quickly adjusting to compensate for new noises or disturbances. The HTC U11+ is designed with the same eye-catching, award-winning liquid surface design as the HTC U11. Colors include a sleek Ceramic Black, eye-catching Amazing Silver, and an unprecedented new color: Translucent Black. With Translucent Black, we once again pushed the boundaries of what’s possible in design, delivering an all- new, elegant translucent glass back that provides a delightful, intimate look and feel. Admire the sheer inner beauty of HTC U11+ with a peak into the heart of the phone, plus a unique color gradient that adds a mysterious depth and an expression of true craftsmanship. HTC U11+ includes HTC U11+ Clear Shield. Designed to work perfectlywith Edge Sense, the case lets you squeeze and interact with your phone any time while letting your phone’s beauty shine through and provides sleek yet dependable protection against damage, dirt, and dust. Enjoy the latest in Android technology with the new Android OreoTM operating system installed on HTC U11+ from the start.5 Enhanced performance, optimized battery life, and new features, like Picture-in- Picture, are just waiting for you to try. Every HTC U11+ comes with the same Qualcomm® SnapdragonTM 835 Mobile Platform with X16 LTE, no matter where you are in the world.6 Enjoy breathtaking speed, jaw-dropping graphics, impressively smooth performance, and long battery life. 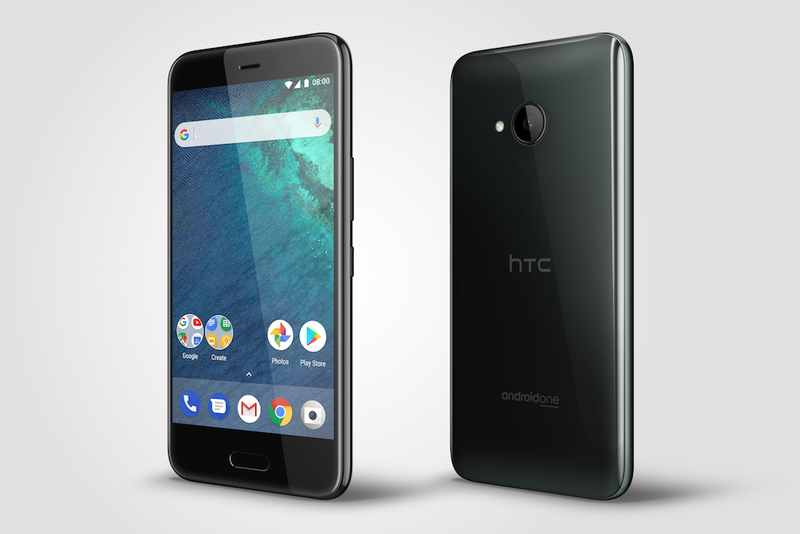 Compared to HTC 10, HTC U11+ gets7:For more information on the HTC U11+, including pricing and availability, please see htc.com or consult your local HTC representative. 1 Color availability varies by region. Please check your local HTC representative. 2 Google Assistant and Amazon Alexa compatibility and availability may vary by region. Please consult with your local operator. 3 Based on DxOMark ratings: dxomark.com/Mobiles. 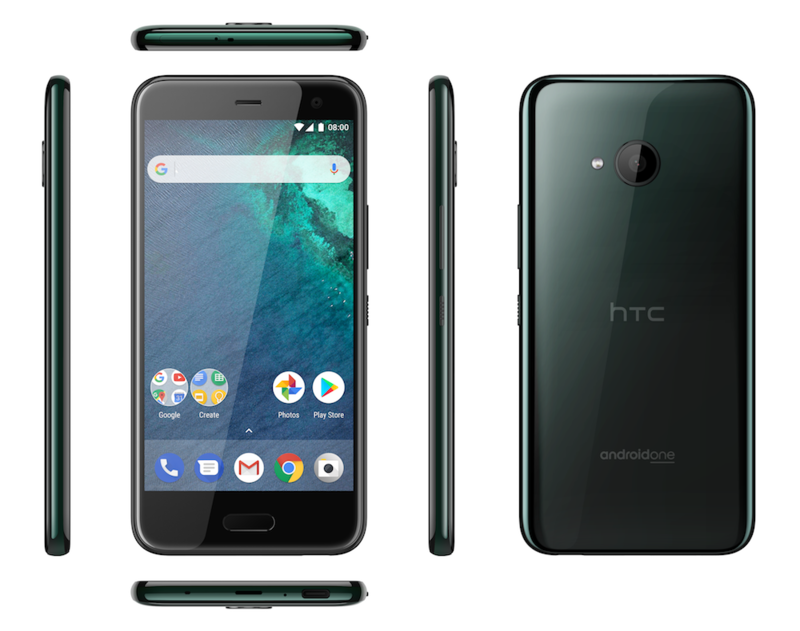 4 HTC U11+ has an IP68 rating and is dust, splash and water resistant up to 1.5 meters of freshwater for up to 30 minutes and tested under controlled laboratory conditions. Normal wear and tear may decrease splash and water resistance over time. Do not attempt to charge or otherwise use the USB Type-C port on a wet HTC U11+. For drying instruction and tips on maintaining water resistance, consult the user guide, support site, or the Help app on the device. Liquid damage may not be covered under warranty. 5 Android is a trademark of Google LLC; Oreo is a trademark of Mondelez International, Inc. group. 6 Qualcomm Snapdragon and Qualcomm Adreno are products of Qualcomm Technologies, Inc. Qualcomm, Snapdragon and Adreno are trademarks of Qualcomm Incorporated, registered in the United States and other countries. Used with permission. 7 Performance tests are conducted in HTC laboratories using specific HTC devices. Battery life varies by use and settings. Usage, environment conditions, network connectivity and other factors may vary the actual outcome. 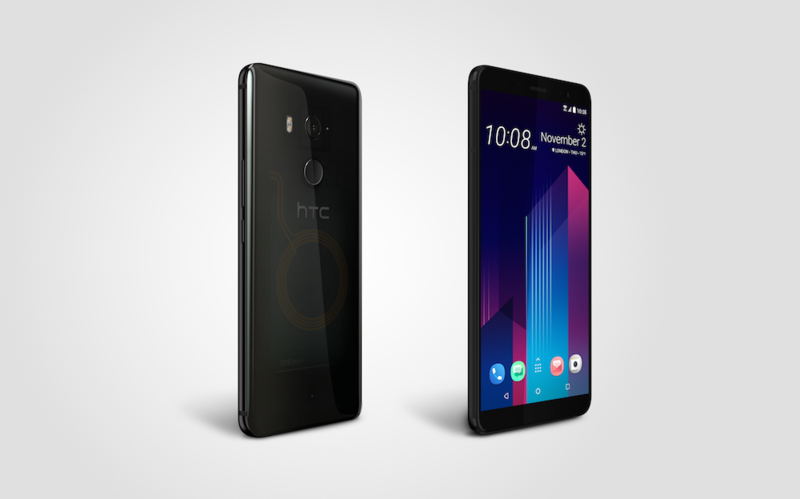 TAIPEI – Nov. 2, 2017 – Building on the award-winning design and innovation of the flagship HTC U11, HTC today announced the newest member of the “U” family of smartphones, the HTC U11 life. Like its predecessor, the HTC U11 life is designed to reflect “U” – your drive, passion, creativity, and individuality – yet uniquely delivers flagship-quality features at a fraction of a flagship’s price, including the latest Google software innovations with Android One. ● Edge Sense, the next dimension in touch interaction that lets you squeeze HTC U11 life to performyour most common useful actions, including Google Assistant. ● Amazing cameras, with Phase Detection Autofocus and HDR Boost on the 16MP main camera forfaster, clearer photos, and UltraPixel light sensitivity on the 16MP front camera for awesome selfies even in low light. Google Photos is also the default gallery, providing free and unlimited storage of high quality photos and videos. ● Durable, weather-resistant liquid surface design, incorporating an acrylic glass back that stunningly transforms light with every movement you make – even in rain, snow, or dust with IP67 water and dust resistance1. ● HTC USonic earbuds in-box, the most personal listening experience on a smartphone that adapts to your ears, in addition to built-in Active Noise Cancellation. 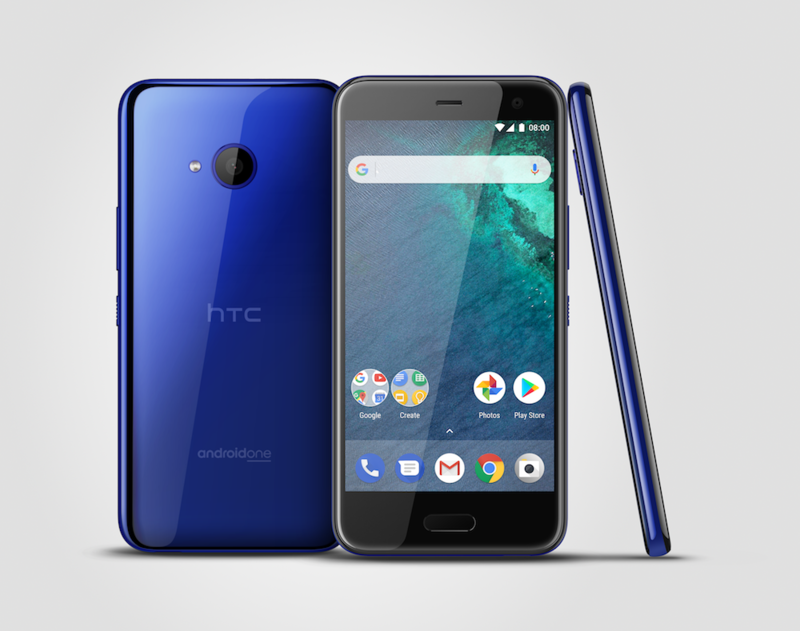 ● Get the latest from Google with Android One – enjoy the newest Android OS update, Android Oreo, right out of the box, bringing you a best-in-class software experience designed by Google.2The HTC U11 life is available in Sapphire Blue and Brilliant Black beginning <date> in <region>. For more information, please see the following pages or visit htc.com. HTC U11 life features the highly acclaimed, groundbreaking technology Edge Sense. With a simple squeeze, you can launch the camera and snap photos, get things done with Google Assistant3, open any app, and much more. 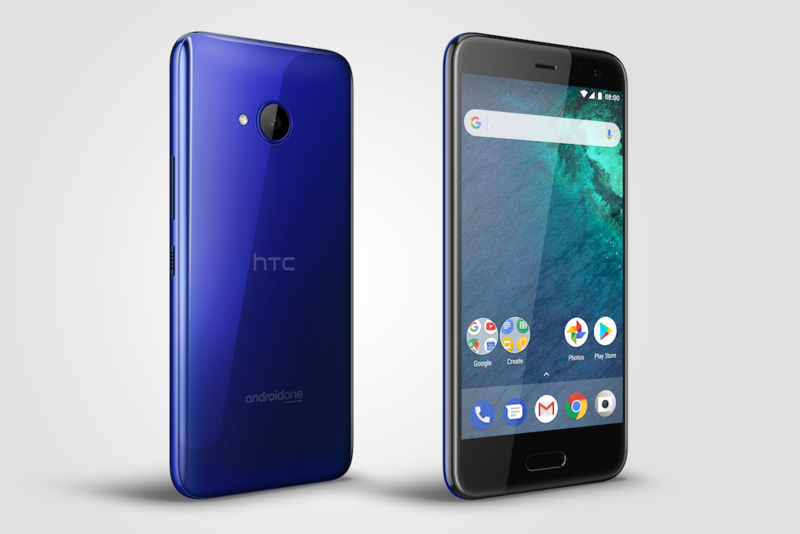 The HTC U11 life brings you the best of Android from the start because it’s an Android One phone. Enjoy all the features of Android OreoTM out of the box, like a secure phone featuring your favorite Google apps such as YouTube, Google Assistant, Maps and more. Plus, the Android One software experience is simple & easy to navigate and customize. Smarter, faster, & more powerful than ever, Oreo optimizes your battery performance so you can do whatever you love, longer. For more information on the HTC U11 life, including pricing and availability, please see htc.com or consult your local HTC representative. 2 Android is a trademark of Google LLC; Oreo is a trademark of Mondelez International, Inc. group. 3 Google Assistant compatibility and availability may vary by region. Please consult with your local operator. 4 Qualcomm Snapdragon is a product of Qualcomm Technologies, Inc. Qualcomm and Snapdragon are trademarks of Qualcomm Incorporated, registered in the United States and other countries. Used with permission. 5 Performance tests are conducted in HTC laboratories using specific HTC devices. Battery life varies by use and settings. Usage, environment conditions, network connectivity and other factors may vary the actual outcome.